This past year we have introduce a number of new artists originating from Canada and with each new artist comes a whole new excitement! 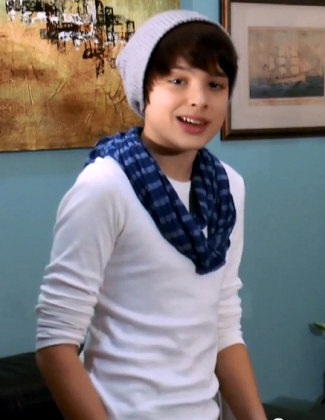 Twelve year old Cameron Molloy, while new to some is no newbie to the music entertainment world. 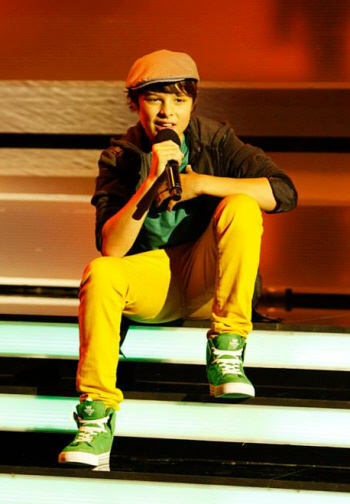 He has already proven himself not only as a sensational vocalist but also as a young performing artist. His NEW Music Video “Stirling Crescent Moon” is evidence of this, clearly demonstrating his charm and ability to draw in his audience through his singing prowess and camera appeal! 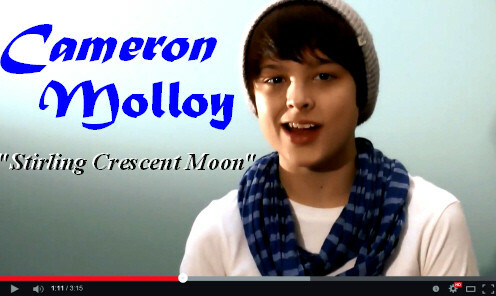 Cameron Molloy’s New Music Video! It’s reported that Cameron has always had a love for music. His parents shared that as an infant, the best way to stop him from crying was to sing a song to him. Doing this would instantly calm him and he would soon be happy and smiling. You could also find him typically tapping on the family piano or playing the plastic guitar his grandmother gave him fascinated by the sounds that it made. They also noted that Cameron seemed to have a knack for remembering lyrics and would easily sing songs from start to finish. His early influence was mostly country and folk music which was kindled from carting him along to numerous folk festivals. These early musical adventures also exposed him to a great variety of musical styles and genres.